Home / News / Vishnu Manchu and Srinu Vytla once again! 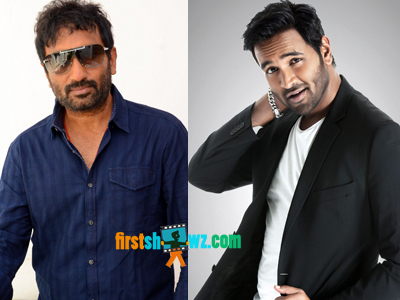 Vishnu Manchu and Srinu Vytla once again! It's been few years since either Vishnu Manchu or Srinu Vytla delivered a hit. Back in 2007, the duo teamed up for a memorable hit Dhee which remained as evergreen film in either of their careers. Now the duo are ready to repeat the feat once again. If the reports are to be believed, Manchu Vishnu is in plans to team up with Srinu Vytla for a new movie, and the news has been confirmed by the actor himself, who recently spoke to media in Tirupati. The details of the film are however to be announced. Meanwhile Manchu Vishnu and his father Mohan Babu has recently joined YSRCP Political Party, and the actor will be campaigning in Chittoor district. On the other hand, Vishnu's current project Voter will be hitting the big-screens soon.